Are you thinking of exercising in the morning? Great! Are you thinking of skipping breakfast? Don’t! There’s a flip side to this story. Breakfast helps you not just lose weight but also keep it off. Skipping breakfast is worse than overeating. Passing up breakfast means in all likelihood you are bound to pack on the pounds. It is a no-brainer. You will feel famished by the lack of food in your belly and consume anything in sight. Statistics show nearly 80% of people on a weight loss mission swear by breakfast, as they have managed to shed pounds and maintain a healthy weight in the long run. Do not put off exercising, as this is the ideal recipe for not exercising. Morning movers are known to stick to an exercise routine long term; however, people that exercise in the evening or at late night do not have the same success. Cardio exercises are vital to help you shed the pounds. If your goal is to lose weight, it can be achieved through burning calories. 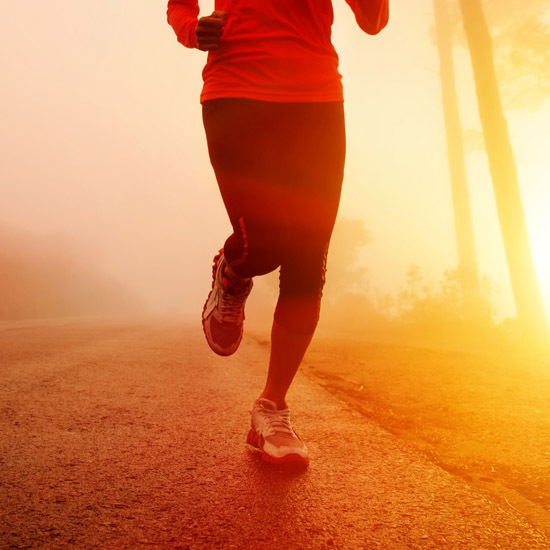 It is a fact doing cardio in the morning will help you exercise muscles that otherwise accumulate fatty acids. The stored fat in your body is what will burn, not the calories you consumed for breakfast. Go for a walk or run. You can run on the treadmill at home. Or you can go outside and breathe in the fresh air. Air, free from pollution is perfectly healthy for your mind, lungs and heart. It also helps you connect to nature. Biking is another cardio exercise. It helps you burn calories and work those calf muscles to achieve effective endurance. Biking also trains your shin, thighs and calf muscles. Biking early morning will give you the best workout. Circuit training is another effective form of cardio exercise. It is body conditioning that leads to muscle endurance and strength building. The idea is to do circuit training and repeat it, taking only a few sips of water in between. Kickboxing helps to make you stronger. It gives you excellent moves and helps burn fat. There are a range of kickboxing workouts you can do. It is a perfect morning workout routine. You can even join a kickboxing class. You must incorporate stretching exercises into your daily routine. Studies suggest overnight proteins get accumulated in your joints. Stretching your muscles will work these joints and prevent early arthritis from setting in. Stretching exercises also tone muscles. It is imperative you add toning to the morning workout routine. Begin your workout with a short warm up routine. This increases the body temperature. A warm up routine helps avoid injury as your joints are able to move more smoothly. You can incorporate stretching once the workout routine is done. This is to safeguard your body against muscle pulls and other injuries. Once your body has cooled down from your morning workout, you can move onto a stretching routine. This will help you stay flexible, by increasing a range of bodily motions.